Divorced, beheaded, died, divorced, beheaded, survived is cemented into the mind of so many but, how much do we actually know about the women who stood beside Henry VIII during his tudor reign? The Queens' stories have been forgotten again and again in the retelling of this history, or rather his-story, but they are having no more and have stepped up to tell us their story. You'll learn more in this 75 minute pop concert style musical than you will from any school history lesson, and you'll learn whilst having a ton of fun. 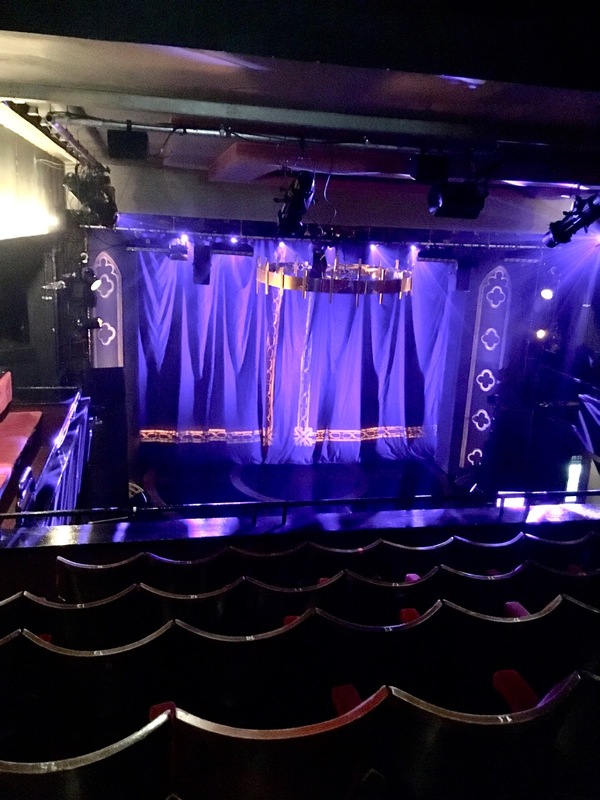 Written by up and coming young writers (and quite frankly, geniuses), Toby Marlow and Lucy Moss, Six has stormed the world of musical theatre after dominating at the Edinburgh Fringe over the Summer. 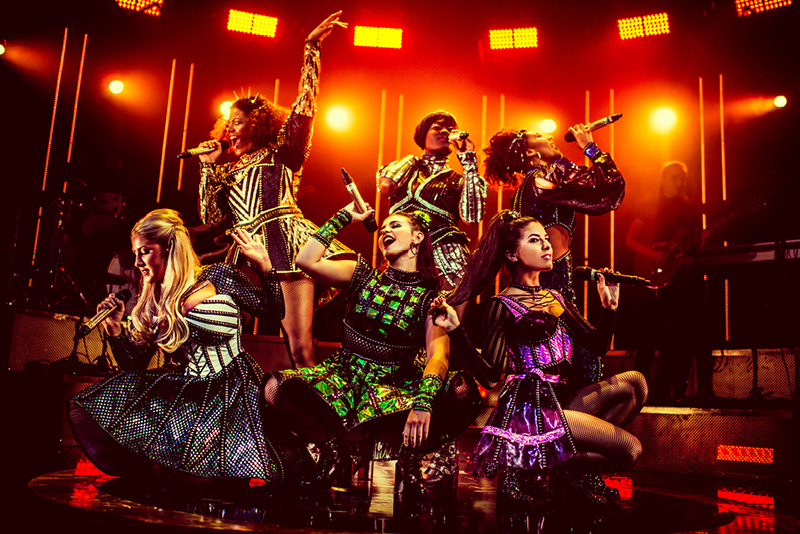 I've been eager to see the show since I was introduced to it at West End Live, the witty humour, sass and girl power that the cast got across in just one song was enough to have me hooked and the full show did not disappoint. Six has everything; clever humour, catchy songs, a diverse and talented cast and an infectious energy that makes you want to be up on that stage with them. Marlow and Moss have taken what is quite a sad story in many ways and turned it into a pop concert that would rival any of the young girl band's out there right now. Each Queen takes their turn throughout the show to tell their story, in the form of a song, and battle against each other to see who had it the worst and as we find out, they all went through some pretty tough times and were horribly mistreated by Henry. And what is the most sad is that a lot of what they went through is still relevant today, hundreds of years later. I really felt that every single member of cast embodied their Queen perfectly and convincingly, they truly became them on stage. 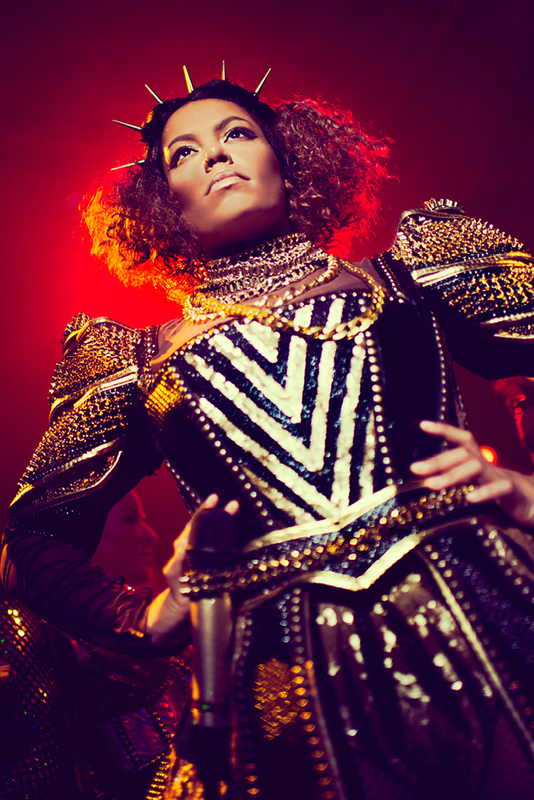 Jarneia Richard-Noel (Catherine of Aragon) started the party and her sass and power had the audience behind her from the first note as she strutted around like Beyonce. Millie O'Connell (Anne Boleyn) was so convincing as Boleyn, and she had a lot of confidence, as well as a quirky edge, and her humour and facial expressions are something that cannot be missed. Natalie Paris (Jane Seymour) made me cry with her performance of Heart of Stone, she had total control over the room and there was complete silence as she stood still on the stage and poured her heart out. Alexia McIntosh (Anna of Cleves) was a standout for me with Haus of Holbein and Get Down, they truly need to be seen in the show to be appreciated, she'll have you wanting to get up and dance as she dominates the stage. 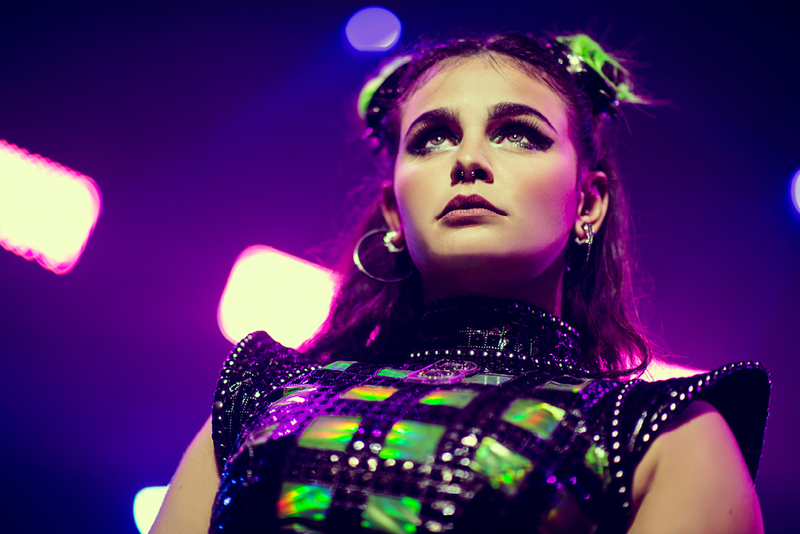 Aimie Atkinson's (Katherine Howard) song All You Wanna Do has been on repeat in my head since the moment I heard it, it's heart breakingly relevant to the world as it is now but her pony tail sass is there to brighten it up and make it the pop hit it is. 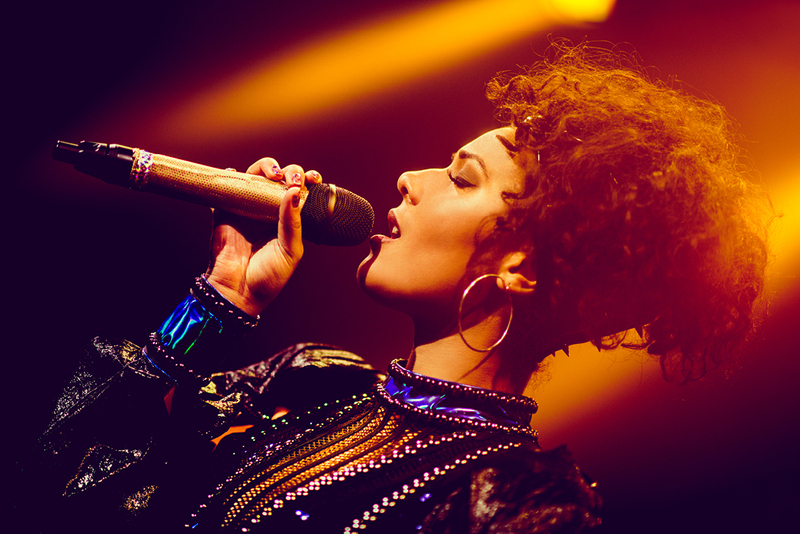 I had the swing superstar Grace Mouat on as Catherine Parr (covering Maiya Quansah-Breed) and her song unites all the Queen's as she decides how she wants to tell her story, you learn so much about how much of a leader Parr was for women, and I think that really sums up the whole show. This is their chance to tell their story in the way they want, not in the way that history has told it. This show truly was a life changing experience as my eyes were opened to the other side of the coin. As hard as I tried I truly cannot fault this show, I think it's come about at exactly the right time and it's incredible to see a new British musical written by a young duo, with a diverse all female cast, take off. The original cast recording came out recently and I was about to see a different musical when it was released and I have to admit to spending those 3 hours dying to get out and listen to the album! 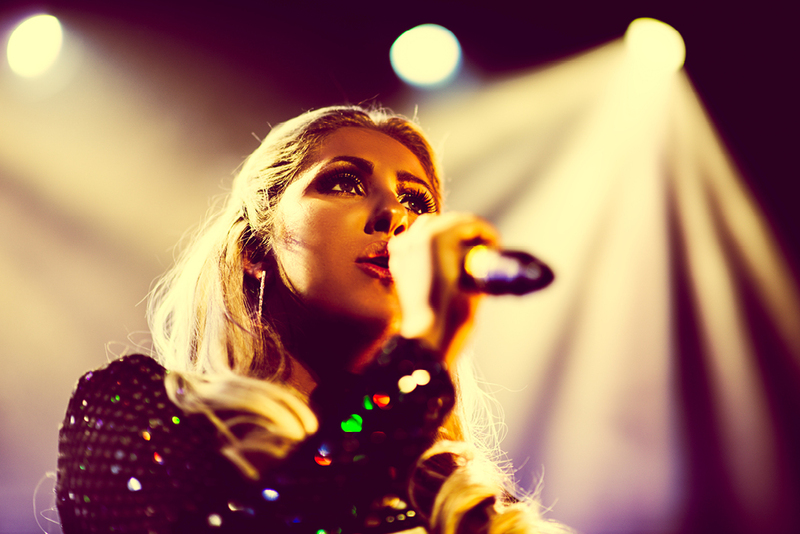 What I really admire and applaud about Marlow & Moss is their ability to write several different styles and genre of music within one show, they take you from Beyonce style hits to a huge ballad with ease, it flows so well and nothing is out of place. In the programme they've included each Queen's 'Queenspiration' and you can absolutely see each artist within the songs, in fact Jordan and Russell from From The Wings and Perry O'Bree reacted to the album on Perry's YouTube and commented on how some songs echoed Lily Allen, Nicki Minaj and more, all of whom are quoted as being the Queen's inspirations. I truly cannot wait to see what Marlow & Moss do next together, with one hit musical already under their belt I can see them doing big things in the industry. On to the access at the gorgeous Arts Theatre in the heart of the West End, it's not a theatre I'd been to before and there was some conflicting information about their access online so I wasn't 100% sure what to expect when I arrived, but for the most part I was pleasantly surprised. It's a very small theatre so there is only one wheelchair space, which is located at the back of the circle, the furthest seats away from the stage. To access the space you go through a different set of the doors which are just to the left of the main entrance, staff will show you round and to your seat. The confusion I had was about whether I'd be able to access the box office, bar and cafe which are all within the same area, so I was pleasantly surprised when I arrived and I found I could get in. The theatre doesn't have a stage door so the bar/cafe is used instead so I was very relieved that I could access it so I could do stage door after. As for the accessible toilet, this is where the problems are. 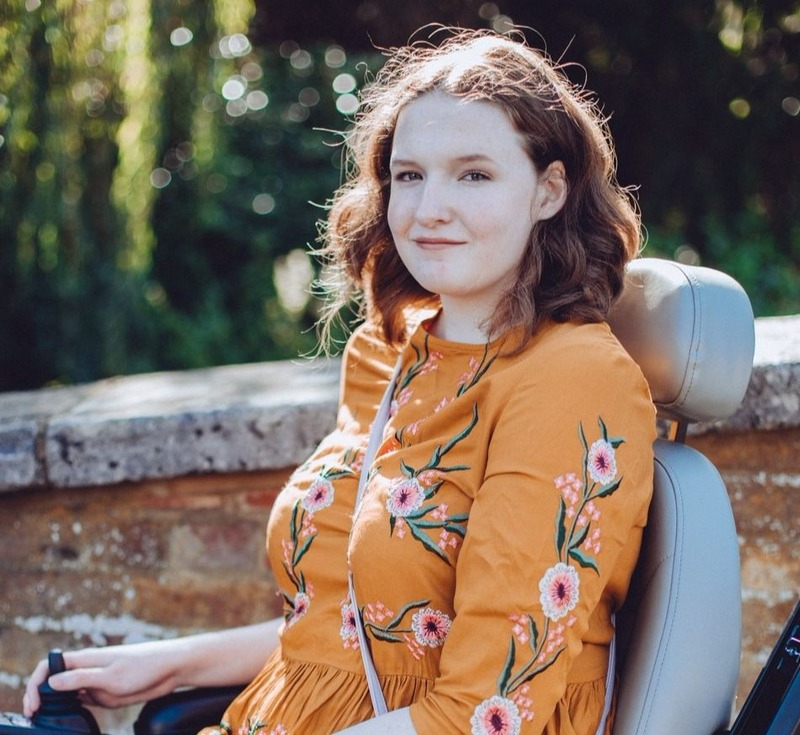 My powerchair isn't massively big, it's very narrow but maybe a little longer than the average powerchair, but I rarely have problems accessing accessible toilets with adequate space, however the one at the Arts did not have an adequate amount of space. You go down a short, but very narrow, corridor to access the toilet and when the door opened I really didn't think I'd fit. I managed to drive in, unable to turn at all and I only just managed to shut the door behind me, there was no room to side transfer and I couldn't even stand properly to transfer in the way that is comfortable for me. Instead I had to shuffle over and leave my feet on my footplate because there was no room to place them on the floor. It truly wasn't much bigger than a standard cubicle, I understand that it's an old theatre that is likely a listed building but I think it's deceiving to call it an accessible toilet when I think even a manual wheelchair user would struggle inside it. As for the wheelchair space, that was plenty spacious enough and I had no trouble seeing the stage for the majority of the show. Being at the back of the circle did mean I felt a little disconnected at times though and this was most true during the encore. As soon as everyone stood up I did what I usually do, I used the iLevel on my powerchair to rise up to allow me to see over everyone's heads. However, even when I did this I could barely see past everyone, I saw the Queen's occasionally when they came to the left of the stage but other than that, I couldn't see a thing. I can only imagine how disappointing this will be for manual wheelchair users and powerchair users who don't have a rise function, you really wouldn't be able to see a thing for the last song. I was disappointed but thankful for those filming the encore on the front row, meaning that I have been able to watch that song, just not in person as I would have liked to. Other than during the encore though the wheelchair space wasn't a restricted view thanks to how small and intimate the theatre is, so I was thankful for that. My ticket for the performance cost £11.50 (although this was preview price and they are now £24), I'm definitely going to be making a few more return trips before the show leaves to go on tour in just a few weeks. I really cannot fault this show and think that it's going to be perfect for everyone, no matter your age and whether you're a regular theatre goer or not. Marlow & Moss are quite frankly geniuses and the whole cast truly are Queens! 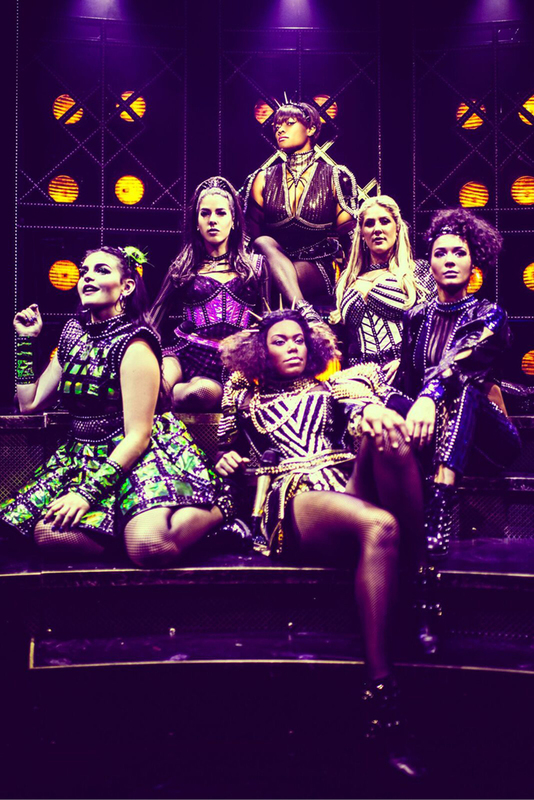 Six the Musical is performing at the Arts Theatre London until October 14th, you can then see it on tour in Kingston, Southampton, Salford and Glasgow across various dates until the end of the year. Listen to the original cast studio recording on Spotify and iTunes. Before reading this your passion for the show had already convinced me to book tickets. Having read your review, I want March 23rd to be tomorrow! Excellent review! So insightful. Hope I can turn around with my rollator in the loo!